To summarize its strategy, the IMO has created a 3-step approach with a vague timeline that starts with a data collection system and then bounces monitoring and reporting responsibilities to mostly “Flags of Convenience” States and the production of an anonymized database that may lead to more reports and meetings and possibly some action some time in the future, maybe. No significant CO2 reduction strategies, obligations, penalties or support for clean energy technologies in the global maritime industry have been created. This statement means that there has been no reporting from ships regarding the myriad of fossil fuels they consume. The industry has been polluting without transparency, accountability or scientific analysis. The IMO’s new reporting requirements are only a first step in a new 3-step approach that is to include future discussions. How much longer can we allow the IMO to proceed with such a vague process that still punts into the future action that may be taken to address climate change someday? To read this section, it is important to know what is a flag State. 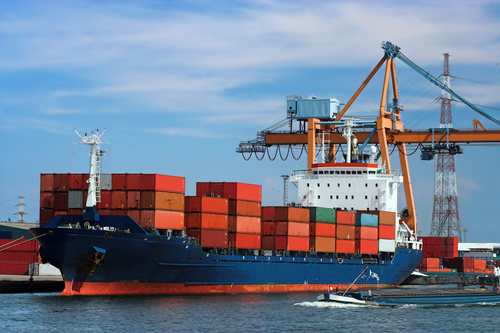 The industry allows ship owners to register vessels in states offering the least amount of resistance or enforcement burdens. These states are known as “Flags of Convenience” (FOC) states and are notoriously known for disregarding environmental and labor laws and regulations. FOC problems are heavily written about; just Google the issue. The IMO is mandating that FOC states now assume the role of reporting fossil fuel emissions for ships. What can we expect of a FOC State, like Liberia, to do? How will FOC States even fund this huge responsibility? Most important, who holds the power, the ship owners who can de-register in a FOC State and jump to another one, or the FOC state that is dependent upon revenues from ship registrations? How is this system of FOC supervision better than bringing shipping emissions directly into the Paris Agreement and state obligations? Where is the breakthrough and tangible progress? We can’t find it in the IMO’s strategy. However, what we do find is an IMO self-praising strategy to maintain control, while refusing to act responsibly, over the harmful and deadly pollution that keeps spewing out of a global shipping industry. ii The Third IMO Greenhouse Gas Study 2014.
iii The industry assumes that ample supplies of oil will be available into an unforeseen future. iv In addition to toxic, climate-changing emissions and catastrophic oil spills, the world’s 90,000-fleet cargo ships kill approximately 60,000 people a year through burning high-sulfur, dirty oil. Charlene Caprio is the Policy and Strategy Consultant for the Sail Transport Network.